An exquisitely shaped 14ct white gold 18 point diamond band from Neil Lane's luxury couture bridal jewellery collection. Styled with elegant milgrain detailing to create a classic feel. 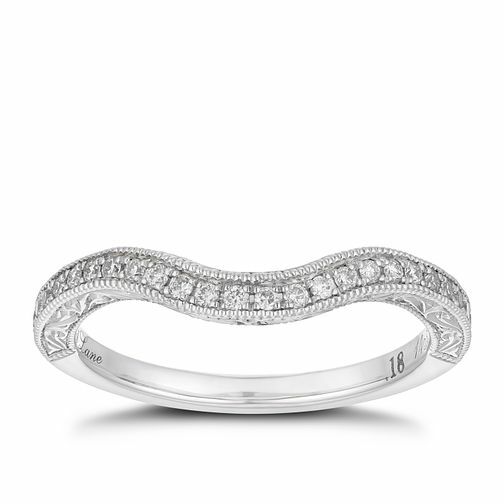 Neil Lane 14ct white gold 0.18ct diamond shaped band is rated 5.0 out of 5 by 1. Rated 5 out of 5 by Anonymous from Lovely detail Love the sparkle and the detail on the sides. I already had the engagement ring that goes with it.